I don't have any major projects right now, which is starting to make me a little antsy, but I do have a few small things I can post about here. 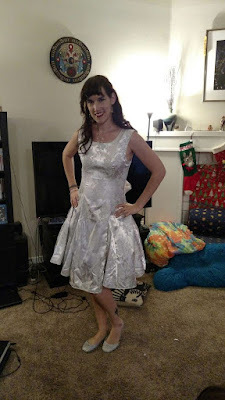 I did mention my New Year's dress, but I haven't posted it yet, and I'm pretty proud of that. So, first of all, yeah, I totally fit into my high school junior prom dress. I don't care what anyone says, or who gets mad at me about that, I'm damn proud of that. I've worked freaking hard to get myself somewhere where I could be happy with my body and I'll be damned if I let anyone make me feel bad about being proud of that. When I pulled it out of the box to try it on, I did the math and realized it had been about 14 years since I last wore it. I put it on, had my daughter zip it up, and about cried when I realized not only did it fit, but I even had just a bit of breathing room in it. There are not many people that can wear something they wore 14 years ago when they were a teenager. There you are. High school, 16-17 year old me. Man, I remember that prom date. 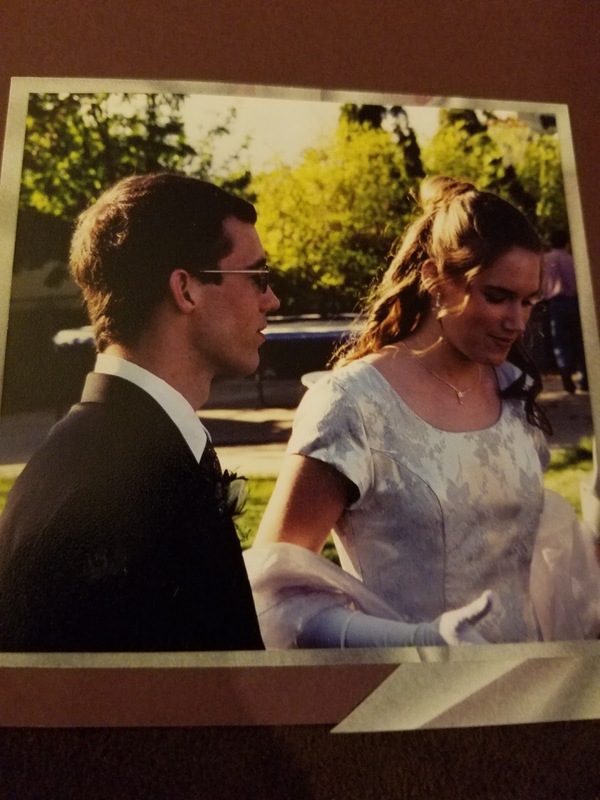 I had such a crush on that boy, and basically ran a whole campaign to get him to take me to prom. I had literally everyone who knew both of us telling him to ask me to prom. God, that's so embarrassing. Protip, past Jessica. If a boy likes you, he'll ask you out. If he doesn't, you just embarrass yourself by forcing the date. I mean, we were friends, but he wasn't interested in anything else. We had a fun time anyways, but uhg. I suppose if your teenage self doesn't embarrass you though you probably did something wrong. So, once I'd established the dress still fit, I needed a plan. I knew I wanted to remove the sleeves, and shorten the skirt. After trying the dress on I realized the skirt definitely needed to be widened as well to be more flare-y and twirly. I wanted to incorporate the shawl I was wearing as well. Removing the sleeves was easy, I just used my seam ripper and then tucked the silver fabric under into the lining, which I also folded over, and then just stitched around the armhole. Super simple. Man, those sleeves were so restrictive, I couldn't move my arms hardly at all with them on there. I knew those had to go first thing. After that, I put it on, marked where my knees were, and then just cut the skirt off right there. God, it felt so wrong to cut into the skirt like that. This dress cost $130, and it was so pretty, it felt like I was going to ruin it. 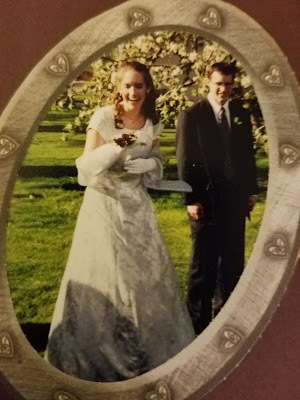 The dress had princess seams, going all the way up and down the dress, so after cutting it off at the knee, I used my seam ripper and opened up all of the seams from the knee to about where my hip would hit. I then took the piece that I cut off the dress and cut it into seven triangles as wide as I could make them, two for the front seams, two for the side seams, two for the back seams and one for the center back seam where the zipper was, for maximum skirt flare. I carefully pinned and stitched the triangles into each seam that I opened, basically adding godets to each seam to add width to the skirt. I hemmed it up and everything looked great. 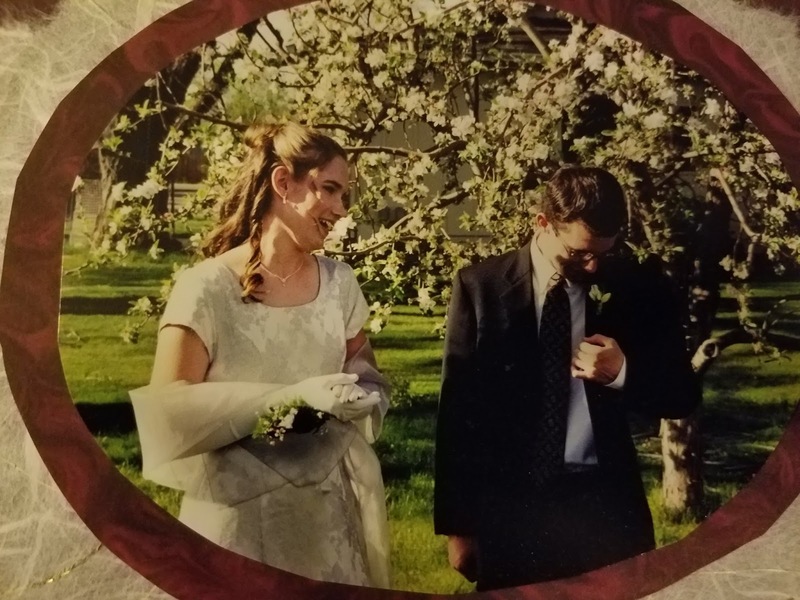 I made one further adjustment, I'd intended to wear a petticoat with the dress, but realized that the bottom of the dress had a tulle ruffle to make it a little fluffy. Of course that got cut off with the bottom of the dress and liner, so I took that piece and had to gather it a bit to fit, and then pinned and sewed it to the liner of the dress roughly around my hips to create a built in petticoat. After that all I had to do was serge the raw cut edge of the bottom of the liner and the dress was done. It was really pretty easy. 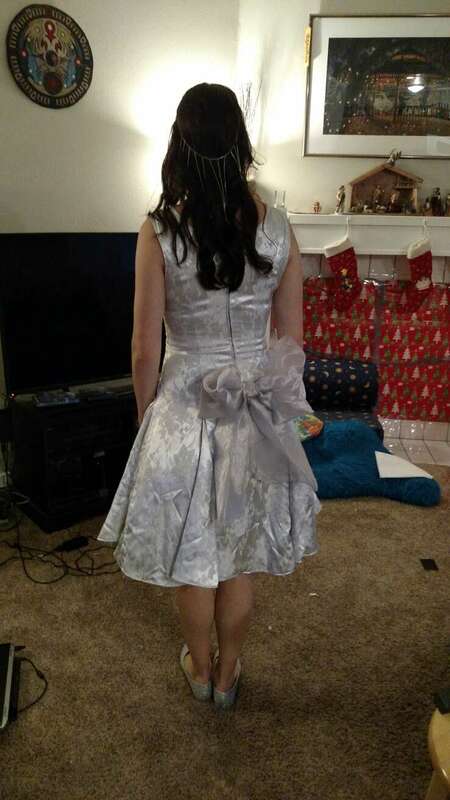 For accessories to go with the dress, I took the silver shawl and tied it into a big bow and safety pinned it to the back of the dress. I wanted to sew it in, but the place where I wanted to sew it cut off the zipper too high making it too difficult to get into the dress, so I stuck with pinning it. I bought another pair of those great cheap ballet flats from Walmart (the same ones I used for Princess Peach's shoes) only in grey this time, and covered them in super fine silver glitter (that I am STILL finding all over my house in the strangest places) and then like four or five coats of spray on Polycrylic, in an attempt to trap as much glitter as I could. I was doing a pair of red glitter heels at the same time for a vague future idea, but I'll cover that later when I really launch the other project. I glued a few plastic jewels to the silver shoes for fun and they were good to go. I made myself a new necklace and new earrings and a pretty dangly hair piece with a bunch of sparkly crystal ball beads I had, and on the day of the party I covered myself in body glitter, did super sparkly makeup and even sprinkled glitter in my hair and hairsprayed it in place. I was all glitter all the time and it was great. Of course, the pictures don't really capture the sparkles well. But I looked great, and now I have a super awesome fancy party dress that I'm very proud of. 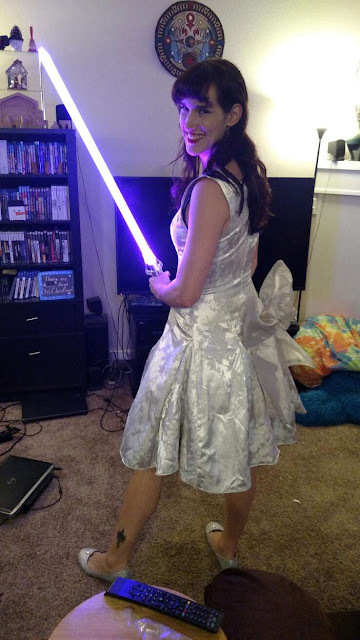 That last picture I'm holding my little brother's light saber replica, cuz the glowy saber was just fun with all the shininess. The only other thing I've done lately is some minor alterations to some things. I got a few new tshirts from Kohl's lately because they had some really neat nerdy ones, but only in the MEN'S section. (Angry side-eye at Kohl's. Girls have nerdy interests other than Disney, Kohl's.) So I had to run my shirts through my serger really quick so they'd be flattering. I got a Duck Tales shirt, one with the Nintendo 64 logo and one with the Playstation logo, and one with the Punisher skull on it, because I recently finished the Netflix series of The Punisher and kind of fell in love. Those shirts were easy fixes though, I've done that hundreds of times. The last thing was something I was pretty excited about. 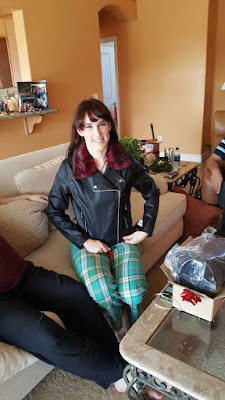 So, I went with Stu to visit his parents for Christmas this year, and his mom always takes him shopping for new clothes while he's there and I got to go along this time. At one store while we were waiting for Stu to try stuff on I happened to spot this gorgeous moto/biker style jacked with a burgundy fur collar, and I wanted it so bad. I was hesitant because, let's be real. We all know there was no chance in hell that would fit me, the sleeves would never be long enough. I tried it on anyways, and I was right, but it wasn't disastrously short. Stu's mom offered to buy it for me and I just couldn't resist. I'd always wanted a jacket like that, but I'd always been too afraid to waste money on something that might not work. But after some sales and coupons the jacket only cost her $17, which is a freaking amazing price for a jacket like that, so I didn't feel too bad. I intended to go buy some black ribbed fabric to add cuffs to the sleeves and the bottom of the jacket, but I actually ended up stumbling across a long sleeved shirt in a thrift store that was made out of exactly the fabric I wanted. So rather than gambling on a fabric store having what I wanted, I just bought the shirt and cut it up. It ended up working perfectly. I got the cuffs in and took in the side seams of the jacket just a bit for a little curvier shape, and was very happy with the result. The one on the left is as it was originally, on Christmas morning. The right is after I added the cuffs. 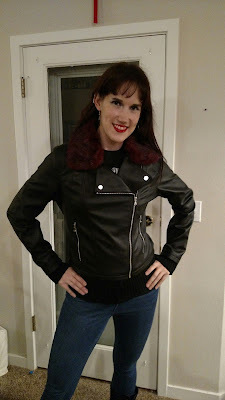 I realize the differences aren't super visible, but it looks good and I feel great in that jacket. The fur collar of that jacket is removable too, so I can wear it with or without, and I can use the collar to make other collars to change up the look however I want, it's pretty great. Well, that's all I've done lately. I'm feeling that project itch though, so I've got to come up with something. I'll let you know when I do.